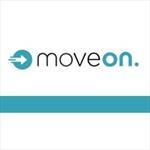 Move On isn't just another moving company in Nashville. Our team is comprised of happy owners and happy movers that strive to provide the best possible moving experience. Our team believes in diligently managing your move and effectively coordinating the heavy lifting, making your next move as painless as possible. We take exceptional care of your belongings, show up on time. The next time you're in need of a moving company, choose Move On, we'll handle all the heavy lifting.